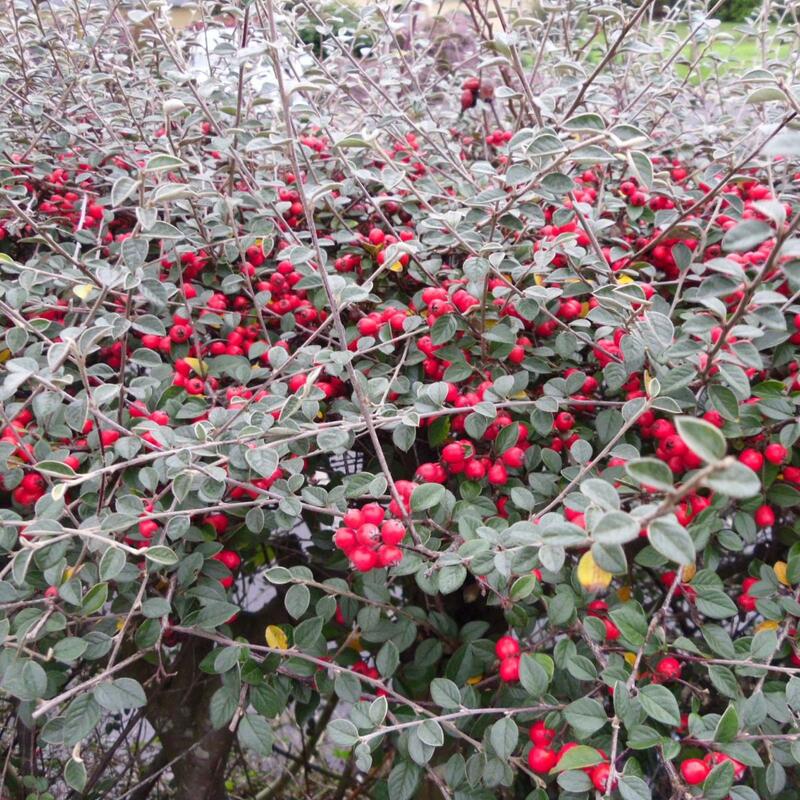 Cotoneaster ‘St Andrews Blaze’ is a lovely new and smaller growing variety to 1.5m naturally and very easy to shape. 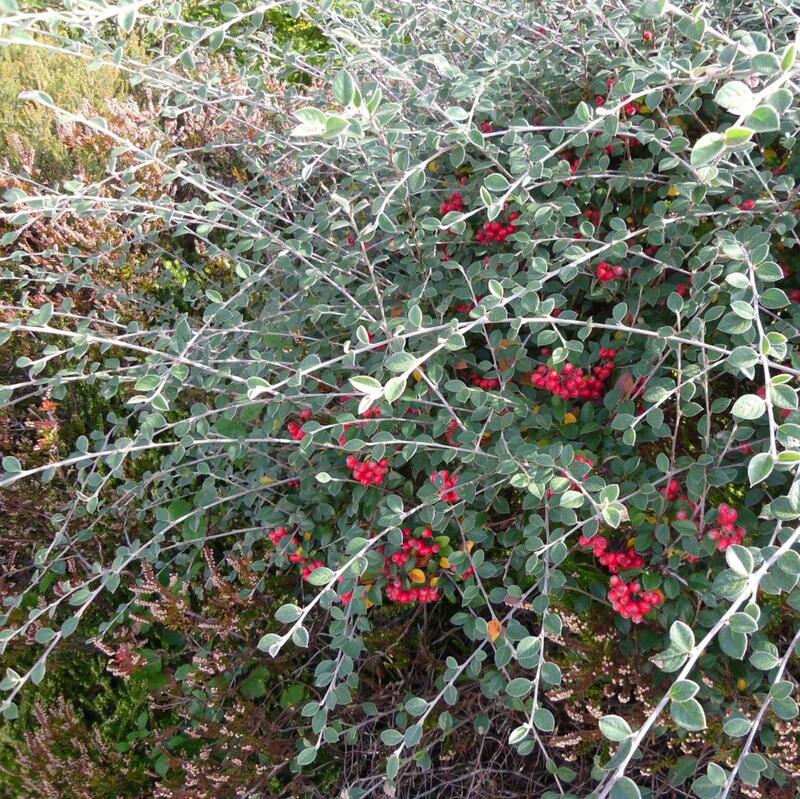 The evergreen foliage is very pretty with small closely spaced leaves which together with the young shoots when juvenile, are intensely silvery. 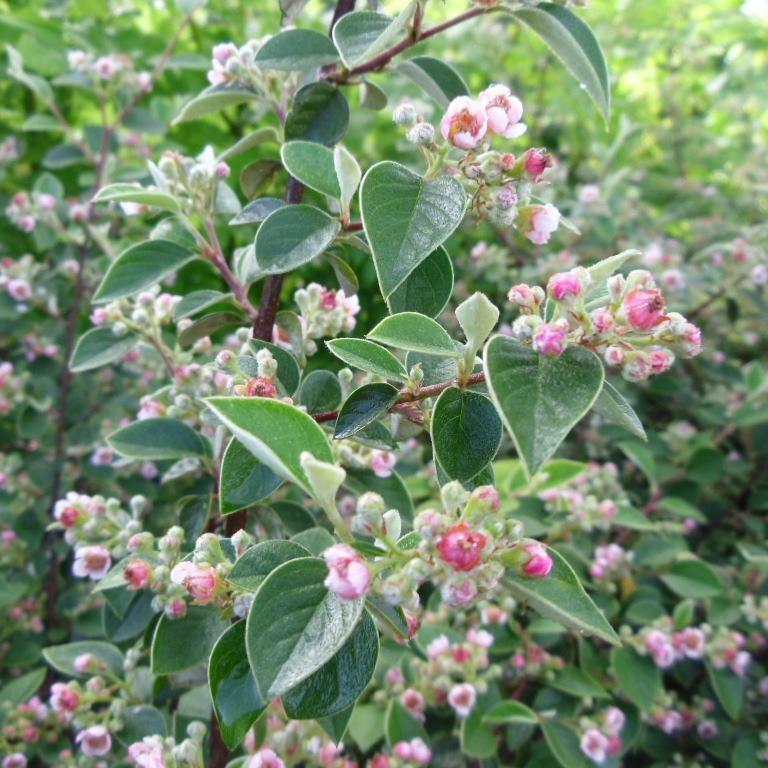 In late June and July the very pretty pink cup shaped flowers open from dark pink buds, followed from October with abundant sprays of bright shining deep red fruit which can last well into the new year. 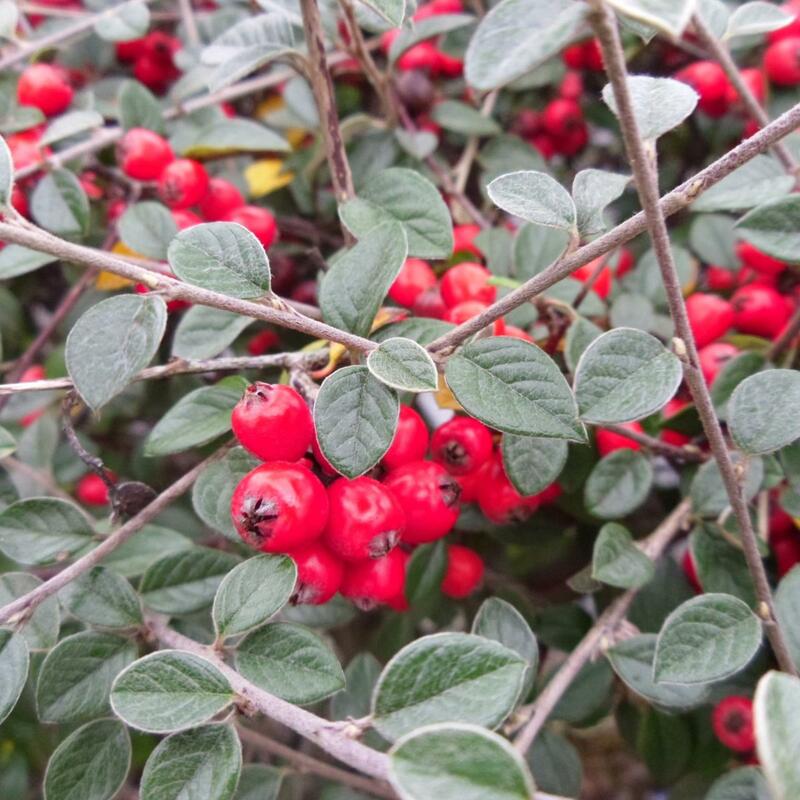 Although Cotoneasters are primarily grown for their autumn fruit displays, this is one of the most conspicuous varieties in flower and a magnet for pollinators. 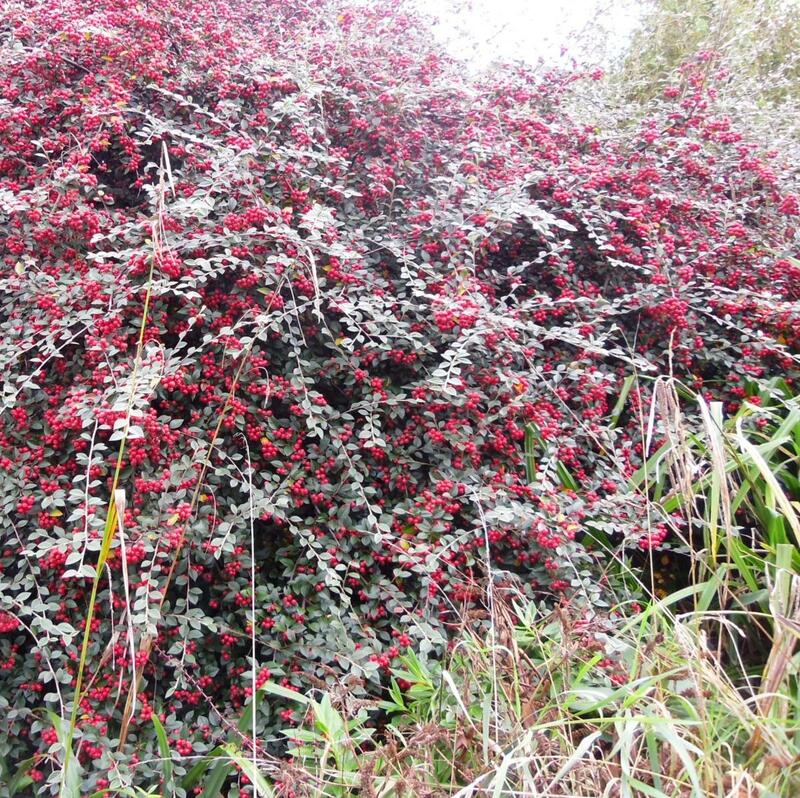 Cotoneaster ‘St. 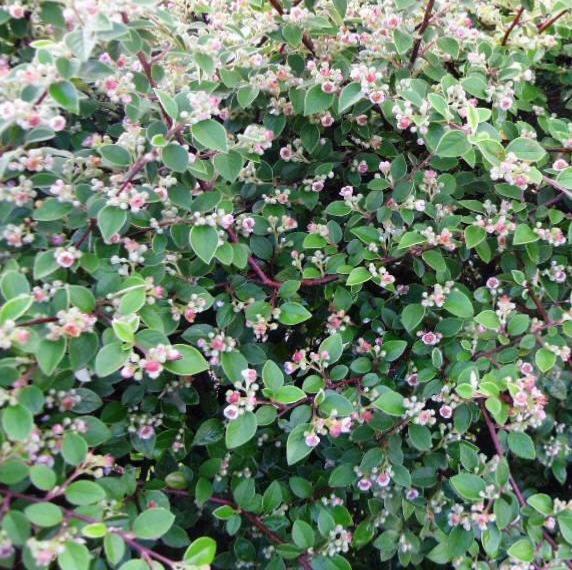 Andrews Blaze’ is most closely related to Cotoneaster amoenus,but has larger flowers, all pink with larger and more rounded fruit than in that species. 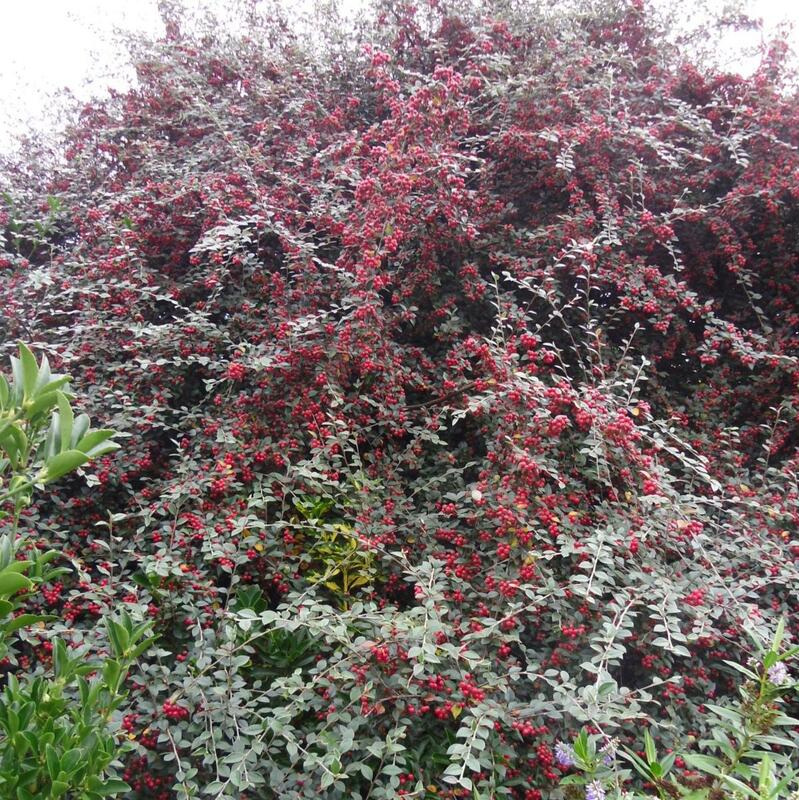 The species name is latin meaning 'beautiful' which is why it is sometimes referred to as ‘The Beautiful Cotoneaster’. 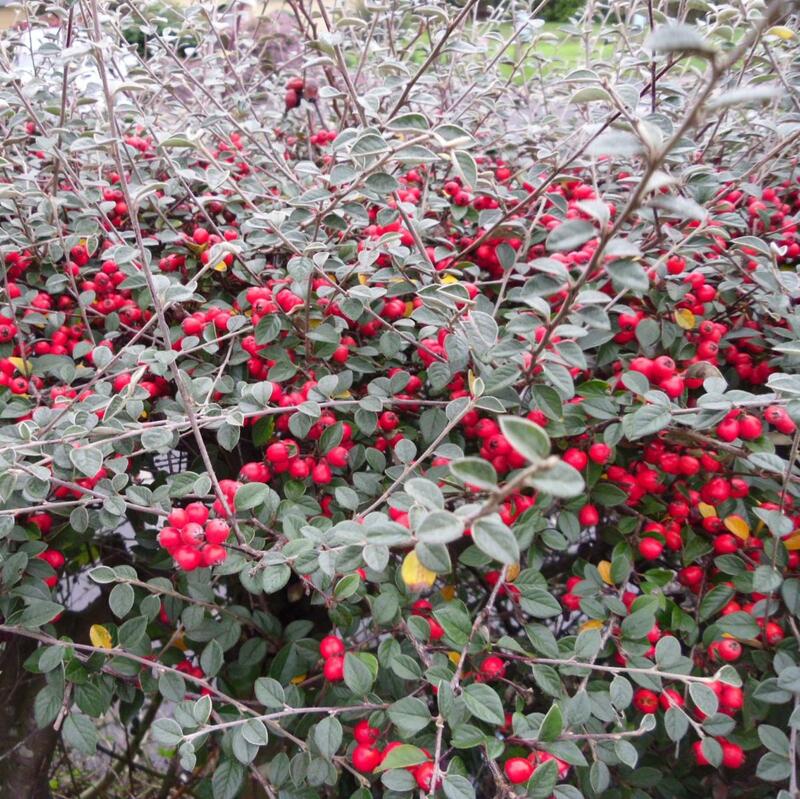 Cotoneaster ‘St Andrews Blaze’ is a brand new variety introduced by us for the first time this year (June 2017). 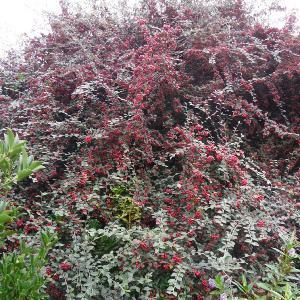 Found growing as a bird sown seedling in North Baddesley, near Romsey in Hampshire and discovered by David West in 2014.